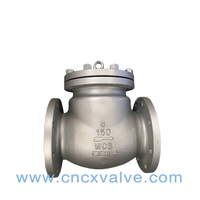 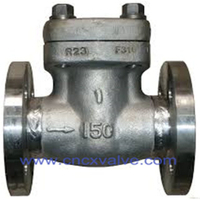 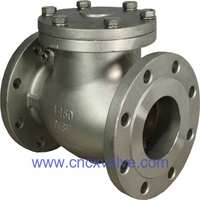 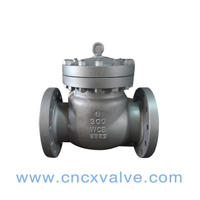 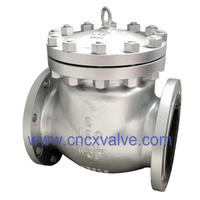 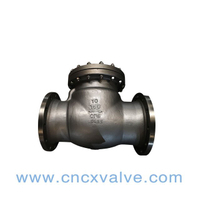 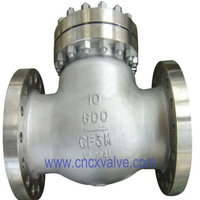 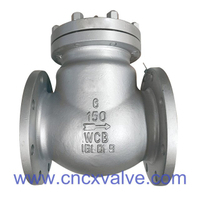 CX cast steel swing check valves are widely used in the industries of oil, chemical, medicine-made, fertilizer, city construction, etc. 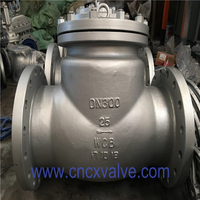 The swing type check valve is designed as full bore full open structure in order to clean the pipeline; large size check valve can be designed as buffering damp structure in order to protect seat seal surface and reduce the damage of pipeline at water hammer status. 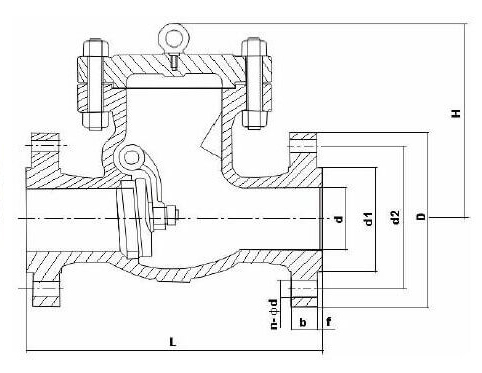 Seat seal surface overlaid with wearing resistant hardened alloy to be matched with disc seal surface; the stem is specially treated to ensure its strength, rigidity, corrosion resistance and abrasion resistance. 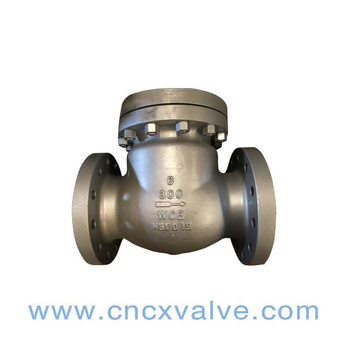 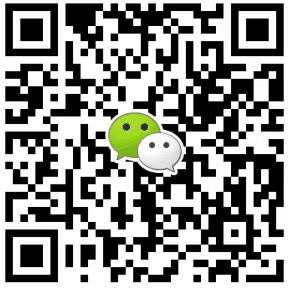 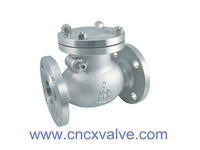 Valves are available in a complete range of body/bonnet materials and trims, which are widely used for the medium of water, steam, oil product, nitric acid, acetic acid, oxygenation, etc. 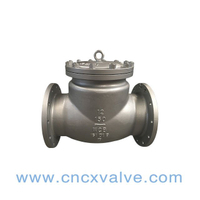 l) Cast steel disc for NPS 4" and above. 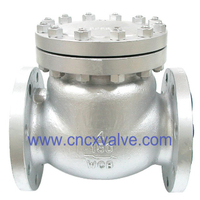 2) NPS 6" & larger. 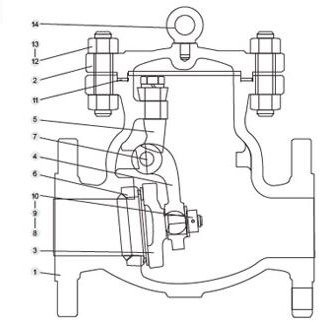 3) Disc and seat ring may either be solid facing material or a base material equal to or better than the body/bonnet material with facing as shown.